If you have any concerns, please read this collection of frequently asked questions. If you are still unclear about something, feel free to contact us. SADS stands for Sudden Arrhythmic Death Syndrome ((In the past it has also been called Sudden Adult Death Syndrome or Sudden Death Syndrome but, because it affects infants and children too, the term Sudden Arrhythmic Death Syndrome is now used). It is a term used to describe the likely cause of sudden death in someone when a post-mortem examination has not shown any other potential cause of death (structural heart disease and coronary disease or ‘hardening of the arteries’ have not been seen, or are not considered sufficient to cause sudden death). Several conditions have been shown to cause SADS. These are usually electrical problems – problems with pump systems found in the walls of cells in the heart which are meant to pump salts in and out of the cell. These pump problems are called ‘channelopathies’ or ‘ ion channel disorders’ and can broadly be said to include ‘Long QT Syndrome’, Brugada syndrome, and the unpronounceable Catecholaminergic Polymorphic Ventricular Tachycardia (CPVT). It is not possible to find these at post-mortem (unless genetic tests are performed, which is not yet part of standard practice). What is the difference between Sudden Arrhythmic Death Syndrome (SADS) and Sudden Cardiac Death (SCD)? Sudden Cardiac Death (SCD) is the term used for any dramatic and/or spontaneous death that is thought to be (and usually is) caused by a sudden change in the heart’s rhythm. This is more common in older people. 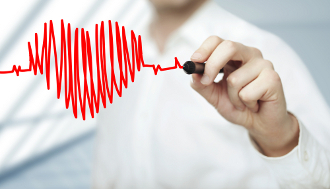 There may be many underlying heart conditions that could cause this sudden rhythm change. The most common cause, usually confirmed at autopsy or post-mortem, is coronary disease or hardening or ‘blockages’ of the arteries or blood vessels supplying the heart muscle. Other potential causes include heart muscle disorders (also known as cardiomyopathy), structural heart defects that may have been present from birth (congenital heart conditions) and infection or inflammation of the heart muscle (myocarditis). If a person dies from SCD, but no cause is identified, then this is classified or ‘diagnosed’ as a sudden arrhythmic death syndrome (SADS). Is there a difference between ‘heart attack’ and sudden death or cardiac arrest? When medical professionals speak about heart attacks they are usually referring to a ‘coronary’, or a blockage in one of the heart’s blood vessels. This usually causes chest pain, but it only causes collapse or sudden death in perhaps a quarter of all people who get a blockage. The medical name for a ‘heart attack’ is a myocardial infarction, often shortened as ‘MI’. Cardiac arrest is when the heart stops beating effectively due to a sudden serious change in the heart’s rhythm. This always results in collapse, and often in sudden death. Defibrillators (including the automatic external defibrillators, or AEDs, available in many public places) can be used to treat some but not all causes of cardiac arrest. What happens after a young person dies suddenly and unexpectedly? After an unexpected sudden death, the coroner for the area will usually request that a post-mortem be performed. This involves the body being examined by a pathologist. Small samples of tissue from organs including the heart (to examine for heart failure) are also taken and examined under a microscope. Usually, the pathologist can easily detect any abnormality like significant coronary artery disease. The coroner will take into account the circumstances of the death and, if necessary, will carry out tests for signs of any medication or drugs. If it is difficult to assess the heart or to detect any abnormality in it, it is desirable for the help of an expert cardiac pathologist (one who specialises in the heart) to determine the cause of death. This, at present, is likely to necessitate referral through the coroner or pathologist to an expert cardiac pathologist in the United Kingdom. 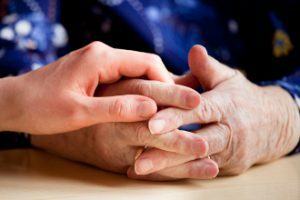 Should Families be screened if a relative dies suddenly? If the cause of death is known to be a hereditary problem (such as some forms of cardiomyopathies, or heart muscle diseases, many causes of SADS, Marfan’s disease), then immediate family should be screened as a precaution. This usually means the parents, brothers and sisters, and if appropriate the children of the deceased should be checked for evidence of the same condition. Testing can then be extended or ‘cascaded’ to the wider family if someone else in the immediate family is considered to be affected. Or, where the cause of death is uncertain (this includes SADS, and may occasionally be relevant to cot deaths), the relatives should be screened for any clues as to possible causes of death, such as the electrical conditions lonq QT syndrome or Brugada syndrome. Further information on the tests that are usually performed is available on our screening page. Of note, there are many innocent explanations for the symptoms below, which do not involve heart disease or sudden death. If you or a family member does experience any of these it is recommended to discuss with your family doctor who can decide if further investigation is necessary. Palpitation is a term used to describe an awareness of a change in the heart rhythm. It can feel like skipped beats (the heart seems to miss a beat and after a gap the next beat is felt as a heavy thud- almost like a flutter of the heart), or you may notice that the heart suddenly starts racing, even if you are doing nothing. It can last for anything from seconds to hours or even days. Are all Palpitations potentially serious? 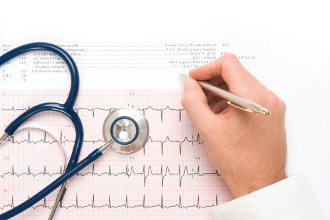 Most people experience some palpitations during their lifetime. Sensations of missed beats are most likely to occur during illnesses such as colds or flu or if you are over-tired. They can occur if you are stressed or experiencing anxiety or if you have drunk too much coffee / tea / alcohol/or other stimulant drinks (e.g. Red Bull). They can be caused by taking certain medications like Sudafed or drugs like Ecstasy or Cocaine. A sensation of the heart racing for minutes or hours is reasonably common, especially in young adults, and may indicate an electrical short circuit in the heart. This is often associated with an uncomfortable awareness of your heart thumping in your chest and/or pounding in your neck. These types of palpitations often stop themselves, although you may sometimes need to consult your doctor. They are usually not serious or life-threatening. Any form of palpitations that cause you to feel dizzy, give you chest pain, make you very short of breath or cause you to faint / blackout could be serious and you should seek medical advice. ‘Channelopathy’ is a term used to describe a number of conditions affecting the electrical activation of the heart. The movement of electricity in the heart depends on salts (sodium, potassium and calcium) being pumped in and out of each individual cell. If some of these pumps are defective (either over or under active), this can affect how electrical signals move through the heart. This can increase your risk of palpitations or sudden death. There are several channelopathies, which are similar in many ways. The most common channelopathy in Ireland is Long QT syndrome (LQTS). The term long QT syndrome describes a particular pattern of the electrical activation in the heart. It is usually diagnosed on a resting ECG, although treadmill exercise testing (or ‘Stress Test), or continuous heart rhythm monitoring (Holter monitoring) may be required. Occasionally a ‘provocation test’ may be suggested, where a medication (usually low doses of adrenaline) is given through a drip in your arm, and the doctors monitor closely for any alteration in the pattern of electrical activation on your ECG (also known as Epinephrine Stress Test). LQTS is often hereditary and genetic testing may identify the genetic variant causing the condition in up to 70% of affected patients. Brugada syndrome is another channelopathy, which is due to a similar problem, but is recognisable to a specialist by a specific abnormal pattern on the ECG. It is more common in south-east Asia, particularly in males. A small number of affected individuals or families have been identified in Ireland. The diagnosis is usually made on the resting ECG. Milder cases (or ‘carriers’ of the condition) may need additional tests to diagnose it, such as a treadmill exercise test (‘Stress Test’) or continuous heart rhythm monitor (Holter monitor). If the condition is suspected in you or your family a drug provocation test may be suggested. In this test a medication (usually Ajmaline or Glutaramyl) is given through a drip in your arm and the doctor monitors your ECG closely for any changes in the electrical pattern that may suggest Brugada syndrome. Catecholaminergic polymorphic ventricular tachycardia (CPVT) is similar in many ways to long QT syndrome. It is however a much rarer condition. In CPVT the resting ECG may be normal or near-normal, and abnormalities usually appear during exercise or stress, when your heart rate rises above 110 beats per minute. Therefore if CPVT is suspected you will be asked to do the treadmill exercise test (stress test). Occasionally a drug provocation test may be suggested, using small doses of adrenaline through a vein in your arm to see if abnormal patterns develop on your ECG. This is performed under close supervision. Hypertrophic Cardiomyopathy (also called HCM, HOCM or ‘hocum’) is where the walls of the heart, particularly the pumping chamber on the left side (left ventricle) are thicker than normal. This is relatively common, and many people live a full normal life without any symptoms and do not require treatment. 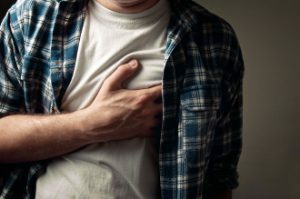 Sometimes affected people may experience chest discomfort or pain, especially during some form of activity, shortness of breath, palpitations or dizzy spells and blackouts. A very small proportion of affected people are at risk of dying suddenly. It often but not always runs in families, and can usually be diagnosed by having an ECG(electrocardiogram) and echo (ultrasound scan of the heart). Genetic tests can be useful but only in about 50% of families. Dilated Cardiomyopathy (also known as DCM) is where the heart is larger than normal, but the walls are usually normal thickness or even slightly thinned. The pump function in the heart is usually less efficient than normal in DCM. This may result in ‘heart failure’, where people experience shortness of breath on exercise or when lying flat, or extreme fatigue. The most common cause is coronary disease or ‘hardening of the arteries’, especially after heart attack(s). Sometimes there is no coronary disease, and the condition may run in families, or may be though to have occurred as a result of a viral infection. It is diagnosed by doing an ECG and echo (ultrasound scan of the heart), although additional tests are often done to look for the cause. Arrhythmogenic Right Ventricular Cardiomyopathy (also known as ARVC or ARVD) is thought to be a rare condition affecting the right side of the heart more than the left. It often runs in families. It may not cause any symptoms, or can cause palpitations, dizzy spells, blackouts, or in a small proportion of people it can cause heart failure or sudden death. It can be hard to diagnose in its milder form – tests used include ECG, echo, exercise test, heart rhythm monitoring and sometimes MRI scans of the heart. Restrictive Cardiomyopathy (also known as RCM) is probably a variant of HCM (above), where the heart may only be slightly thicker than normal, but it becomes very stiff, and does not pump normally. This can result in shortness of breath, swelling of the abdomen or tummy due to fluid accumulation, or swelling of the ankles and legs. The diagnosis is usually made on echo (ultrasound of the heart), although additional tests such as MRI scan of the heart may be requested. Shouldn’t those involved in sport be screened? The risk of someone who has no symptoms of heart disease and no history of heart disease or sudden death in their family dying during sporting activity is very small (perhaps 1 in 100,000). Some countries (certain states of the USA and Italy) do screen everybody but this can cause unforeseen problems as there is sometimes a grey area between normal and abnormal tests, and having possible abnormalities detected may influence career choices, ability to take out insurance, mortgages etc. There is no right answer to this question, but concentrating efforts initially on those with symptoms or possible heart disease in the family would probably be most useful. What is the link between sudden death and sports? People who have cardiac problems (and may be unaware of them) carry a slightly higher risk of sudden death during periods of fairly intensive activity than at other times. This is why as a precaution if someone is diagnosed with a cardiac disorder they will often be advised to avoid competitive sport or endurance training as this can bring on heart failure. Is there a difference? Defibrillators are machines that can deliver an electrical shock to the heart to knock it out of a potentially fatal rhythm disorder. Most people are familiar with the machine with paddles in hospitals, as seen on TV programmes such as ‘ER’. There is a move to have user-friendly clever versions of these machines available in public places (airports, sports stadium, shopping centre etc). These devices with a built-in computer which will recognise the rhythm and deliver the treatment are called Automated External Defibrillators. It is intended that there are easy to follow instructions on them so that if someone collapses staff members or possibly even passers by can attach the machines and possibly save a life. An ICD is an Implantable Cardioverter Defibrillator. This is a miniature version of the defibrillator which is placed under the skin in someone who is considered to be at high risk of having a fatal rhythm problem. Wires are passed down a vein under the collarbone to the heart, and the battery box with built-in computer chip is placed under the skin on the front of the chest. This is like a pacemaker(can treat slow heart beats), but can also recognise when the heart rhythm has changed to a life threatening one and deliver a shock internally within seconds. If ICDs save lives, shouldn’t everyone have one? ICDs do save lives but are expensive and require changing of the battery and possibly the wires every 5 to 8 years. There are also risks of complications when the device is being fitted or changed, and this can sometimes also be fatal. Therefore they are best used in people where the risk of dying suddenly is high enough that it is greater than the risk of complications of the device. This is more important than the cost of the device.